As prosecutors rest their case against most-wanted mobster James “Whitey” Bulger, the case now hinges on one key element: credibility. The government called its final witnesses Friday in a 32-count racketeering trial that has so far featured graphic testimony from a parade of killers, drug dealers, bookies and corrupt FBI agents. Sixty-three witnesses have testified over 30 days. From the start, three assistant U.S. attorneys painted Bulger as a “hands-on killer” who made millions shaking down criminals for cash and routinely used violence to eliminate threats. He’s charged with participating in 19 killings as well as extortion, money laundering and firearms violations. 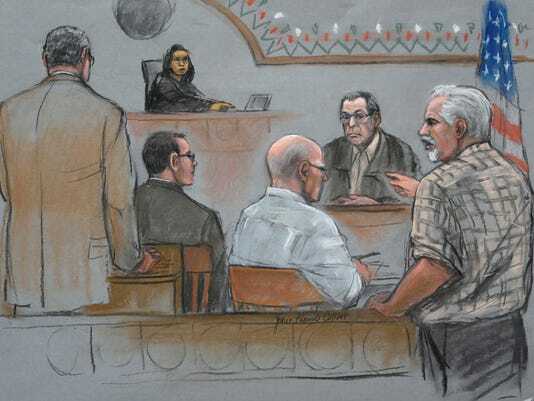 Prosecutors have now delivered eyewitness testimony and corroborating accounts from gangsters who say they saw Bulger order murders, pull triggers and strangle women in the 1970s and ’80s. “The government is winning at this point, but that can be expected because it’s still the government’s case in chief,” says Margaret McLean, a former Massachusetts district attorney who is now a law professor at Boston College. McLean and other legal analysts agree that the battle isn’t over. That’s largely because key witnesses, such as Bulger associates Kevin Weeks and Stephen Flemmi, have admitted to lying in the past and have faced tough questioning about inconsistencies with prior testimonies. On cross-examination, defense attorneys alleged that these same figures are lying now in exchange for light sentences and other perks of sweetheart deals with the government. Bulger’s attorneys, while maintaining that their client never killed women and wasn’t an FBI informant, have not disputed allegations that he was involved in 17 killings of men who either posed threats or went down as collateral damage. But they may not have to address such particulars, Dearborn says, as long as they successfully impeach witnesses — such as on grounds that they’re motivated by self-interest to lie. Since the trial began June 12, the Department of Justice has held the stage, using it to spread out testimony from Bulger’s closest partners in crime. Early on, confessed killer John Martorano implicated Bulger in 13 murders. He depicted Bulger as a key decision-maker in the notorious Winter Hill gang. Two weeks later, Weeks went further, naming Bulger as a shooter in the 1982 murders of Brian Halloran and Michael Donahue, as well the strangler in the 1981 slaying of Debra Davis. This past week, in what McLean calls the government’s “finale,” Flemmi implicated Bulger in more than a dozen killings. He detailed how he and Bulger fired weapons side-by-side in the 1975 execution of bar owner Eddie Connors in a phone booth. Flemmi also gave gruesome accounts of killings carried out in a South Boston home, where, on one occasion, he arrived with his stepdaughter, Deborah Hussey, so that Bulger could strangle her according to Bulger’s own plan. As the prosecution rests, it needs jurors to believe not only that Bulger is guilty, but also that he deserves to be convicted and sentenced, says R. Michael Cassidy, a former prosecutor who is now a professor at Boston College School of Law. Bulger’s trial is revisiting a painful quarter-century in Boston’s history and bringing victims’ family members to the courtroom daily. Palpable courtroom tensions have several times given rise to outbursts. Sitting just a few feet from his accusers, Bulger has at least three times cursed witnesses on the stand. On one memorable day, Weeks cursed him back and also threatened defense attorney J.W. Carney Jr. This week, the brother of an alleged Bulger victim lashed out at Flemmi from the gallery in unprintable language as he questioned the accuracy of something Flemmi had said about him on the stand. Strange twists have unfolded, too. Potential witness Stephen “Stippo” Rakes, who alleged that Bulger and his gang extorted him to take his South Boston liquor store, was found dead by a roadside about 30 miles from his Quincy home. He wasn’t expected to testify, but state police are investigating and awaiting a final autopsy report. On Monday, defense attorneys will begin calling as many as 15 of their own witnesses. They’re expected to move through the lineup faster than prosecutors moved through theirs. The list includes more gangsters, including John Martorano’s brother, James, and Patrick Nee, whose name has already come up in connection with several killings. It remains to be seen whether Bulger will testify and subject himself to cross-examination. Carney has been adamant that his client shouldn’t feel pressured to testify in his own defense.